About Us - Six Points, Inc.
Six Points, Inc. was started in 1992 by John D. Woolf and Virginia G. Johnson, and they began manufacturing out of a small plant in Lincoln, NE. John Woolf is a member of the Cheyenne River Sioux Tribe in Eagle Butte, SD. Since then, Six Points has grown into a Top 10 supplier to the Department of Defense worldwide, and has a customer base that includes DoD, restaurants, hospitals, casinos and childcare facilities. 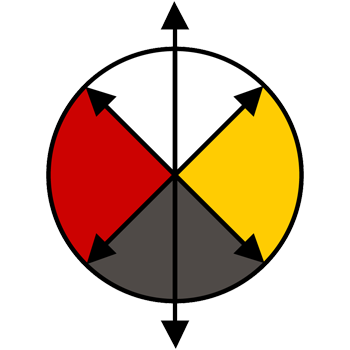 The Six Points, Inc. logo comes from the traditional Native American Medicine Wheel. The arrow points represent the four directions of the compass. The arrow extending from the top of the circle represents Heaven and the arrow extending below the circle represents Earth. The four colors symbolize the four colors of Man: red, white, yellow and black. We learned of a situation in which 17 teens and young adults committed suicide in less than a two year period and in a county which historically has been one of the five poorest counties in the United States. Then we found out that the place where all this despair was taking place was on the Cheyenne River Sioux Reservation in Eagle Butte, South Dakota. It is the birth place of our owner/president, John D. Woolf. John began contributing to the Cheyenne River Youth Project but it did not seem like enough. We at Six Points decided to establish a not-for-profit organization to spearhead a fundraising effort with the goal of supporting the Cheyenne River Youth Project programs. Our first step was to create the Friends of the Cheyenne River Youth Project which was accomplished. We were very concerned that the funds be managed professionally so the Six Points—Cheyenne River Youth Project Fund was established in December of 2009 at the South Dakota Community Foundation which has a history of working with the Cheyenne River Youth project. The fund was established with an initial contribution from Six Points. We have made additional contributions and we are proud to report that the Fund already exceeds $70,000. The Cheyenne River Youth Project is very successful. The key to the success is that it not only introduces children in elementary school to the concept of a college education, but then with all of the programs offered at the Youth Project, it stays involved with these children throughout their elementary, middle and high school years. The programs are centered on creating life goals and life expectations and then mentoring the children through their school and home experience to help them reach those life goals and expectations. You can make a contribution to the Friends of the Cheyenne River Youth Project by sending your check to Six Points, to the address below, made out to the Friends of the Cheyenne River Youth Project. It will be accepted by the South Dakota Community Foundation and be devoted exclusively to the different programs of the Cheyenne River Youth Project. Our customers and contract partners tell you firsthand what they think of Six Point’s services in these testimonials. 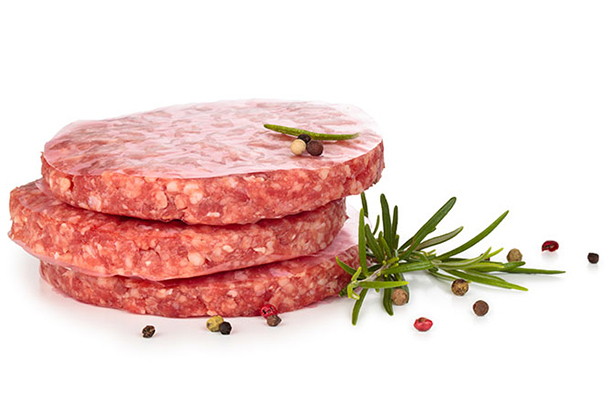 Six Points has been a trusted protein supplier that I can count on to pass audits, immediately address issues when they arise and to provide consistently high quality products at competitive prices. We have been doing business with Six Points for years. I trust them to do what they say they will do. I never have to ask them for something twice and that makes my job easier. © 2018 Six Points Inc. | Design and Development by Ebbeka Design Co.
felis sit felis Praesent tempus venenatis consequat.